Nazri Husin, M., Hasni, R., Arif, N. (2016). Computation on Zagreb Polynomial of Some Families of Dendrimers. 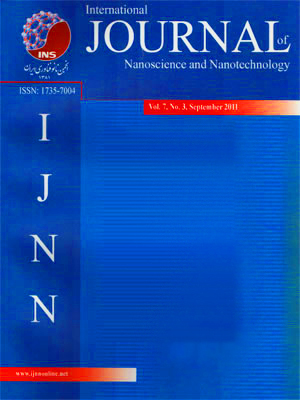 International Journal of Nanoscience and Nanotechnology, 12(4), 243-249. M. Nazri Husin; R. Hasni; N. E. Arif. "Computation on Zagreb Polynomial of Some Families of Dendrimers". International Journal of Nanoscience and Nanotechnology, 12, 4, 2016, 243-249. Nazri Husin, M., Hasni, R., Arif, N. (2016). 'Computation on Zagreb Polynomial of Some Families of Dendrimers', International Journal of Nanoscience and Nanotechnology, 12(4), pp. 243-249. Nazri Husin, M., Hasni, R., Arif, N. Computation on Zagreb Polynomial of Some Families of Dendrimers. International Journal of Nanoscience and Nanotechnology, 2016; 12(4): 243-249.
this note, the first, second and third Zagreb polynomials of some nanostar dendrimers are determined.